Bradford Hot Water Heaters On Special Now! Is your water heater at the end of its lifespan? Whether your water heater has seen better days, and it's time to replace or repair it, our expert plumbers at Complete Plumbing & Rooter offer plumbing service that you can trust. Providing fast and reliable options for all your hot water heater needs, we believe in being there when you need us the most. Specializing in conventional boilers and tankless water heaters (gas and electric), Complete Plumbing & Rooter offers many options for the service, repair, replacement, and even the relocation of your existing water heater, taking care of your problem the right way. Knowing when you need a simple repair or an entirely new system can be tricky, unless you work with us. We will never tell you to buy a new system if a repair is all it takes to get your water heater back up and running. Repair or replacement, having an efficient system will save you money in the long run, lowering your monthly utility bills. Making Our Customers Our Priority, We Always Put You First. Call us today to schedule your plumbing service with our water heater experts. Most homeowners don’t put much daily thought into their hot water heater. Usually, a water heater is just another appliance that is taking up space in the basement. Unless, however, it stops working. Then it becomes a problem that homeowners cannot stop thinking about. Hot water heaters always seem to malfunction or fail during the most inconvenient times — actually, there is no ideal time for a home to be without hot running water. We rely on hot water and hot water relies on a reliable hot water heater. Homeowners rely on their water heater for day-to-day home activities, such as cooking, showering, cleaning, and more, making them one of the most important components of a home. When problems with water heaters arise, it is important for homeowners to contact a plumbing company that specializes in hot water heater repair. And, for those looking for an affordable water heater repair in Southern California, there is not a better choice than Complete Plumbing and Rooter! We have been offering complete plumbing services in Chino, CA, as well as San Bernardino, Los Angeles, Orange County, and the surrounding areas, making us one of the best plumbers in Southern California! If you need hot water heater repair in San Bernardino, CA, call Complete Plumbing and Rooter reliable and affordable plumbing services. Whether you have a gas water heater or electric, one thing is for sure, you want to keep it operating as efficiently as possible. All hot water heaters should receive a routine maintenance service. While many people believe that maintenance calls can be costly, they don’t have to be! In fact, consistently scheduling water heater maintenance can save you more money in the long run. Consider some of the major benefits of routine water heater maintenance. Inexpensive repairs. By detecting water heater problems early, you can make small, affordable water heater repairs. Leak prevention. Identifying problems early on can prevent damage-inducing water leaks. Longer lifespan. Routine water heater maintenance will keep your water heater working properly, extending its life of use. Lower utility bills. When a water heater is functioning properly it can help lower the costs of utility and water bills. As a homeowner, you are likely aware of how frustrating and inconvenient it can be for a water heater to malfunction or stop working, especially when all you are looking forward to is a nice, long, and warm shower, only to discover that your water heater is not working properly. Without a working water heater, a household’s laundry, cleaning, bathing, and others daily life activities will quickly become a hassle. Fortunately, there are some common signs to be aware of that can help you determine whether or not you need to contact a professional plumbing company for hot water repair or replacement. If you suspect that your water heater in Southern California needs repairs, contact the experts at Complete Plumbing and Rooter! If you notice that water coming from the shower, sink, and other household faucets is not as hot as it should be, this can be a sign that you need repairs. To determine whether or not you need to call a water heater plumber, there are a couple things that should be checked first. First, you should inspect your hot water heater to determine whether the temperature settings have accidentally been changed. Temperatures that have been changed to a lower setting could be a reason a household’s water is not as hot as normal. If changes in temperature settings are not to blame for cold or lukewarm water, there may be an issue with your water heater. 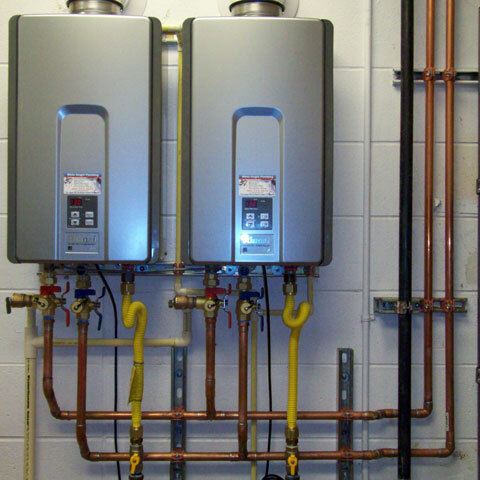 Traditional electric water heaters uses two components to warm the water inside of the tank. If one of the components is out, the with water coming from the water heater will likely be lukewarm or cold compared to its normal hot temperatures. Gas water heaters, on the other hand, use a burner to heat the water inside of the tank, so having lukewarm water could be a sign that the water heater burner is not operating properly. Regardless, if your water isn’t getting hot or reaching a normal temperature, you will need to call a plumber for expert water heater repair. Having a leaking water heater can cause damage to a home. Even the smallest leaks will eventually grow larger over, increasing the risk of water damage or mold formation in your home. If you notice a minor water heater leak, it is best to have it repaired as soon as possible to prevent any type of water or property damage. That said, detecting leaks on water heaters can be difficult. If any water is noticed when inspecting the area around a water heater, you should closely inspect nearby pipes and fixtures to see if you can find the source of the water. Once a leak is found, it is important to call an experienced plumber for help. Additionally, if a leak cannot be located but water is still appearing, an experienced plumber can help by offering leak detection services. Knowing the age of your water heater is important, especially when trying to figure out why it is not working properly. Generally, the age can be found by looking at the serial number located on the manufacturer’s stick. This is usually located on the upper portion of the hot water heater. While the age of manufacturing will be included of the serial number, it will not look like a normal date. To identify the age of a unit, look at the first two digits in the serial number. These are equal to the last two digits of the year the unit was manufactured. It is recommended that water heaters should be replaced every six to 12 years. After this time period, units are more likely to start having problems and start deteriorating. If you have a water heater that is more than 10 years old, you should consider water heater replacement before repairs and malfunctions start to become an issue. Nothing is worse than being in a shower that runs out of hot water. If it seems like your hot water is running out faster than usual, that could be a sign that your water heater is in need of repairs. Running out of hot water faster than normal is a good indicator that your water heater has a broken element or a more serious issue. A professional water heater inspection from the San Bernardino plumbers at Complete Plumbing and Rooter can help with identifying and performing the repairs that your water heater needs. Sometimes, sediment can start to accumulate at the bottom of a water heaters tank. With time and heat exposure, the sediment will begin to harden. Once hardened, the sediment can be damaging — and noisy — to the inside of your water heater, negatively impacting its performance. The noise at first can be alarming, giving you the impression that there may be a water heater burst soon. While this likely is not the case, noise coming from your water heater is something you don’t want to ignore. It could be a sign that the water pressure has risen too high, there is an accumulation of sediment at the bottom of the tank, or you may have a broken expansion tank. If you hear unusual or rumbling noises coming from your tank, it is likely an indicator that your water heater needs to be professionally inspected and repaired immediately. If you turn on your hot water taps only to find rust-colored water flowing from them, it is likely a sign that the inside of your water heater is damaged and needs water heater maintenance. Additionally, rusty or discolored water could be a sign of corroded pipes. Since water is constantly inside a water heater tank, they are designed to fight off corrosion. The anode rod, a component of a water heater which absorbs rust and corrosion makes this possible. However, in order for the rod to be effective, it must be replaced every once in a while. A bad anode rod can cause hot water to appear rusty or discolored. A professional plumber will be able to diagnose the problem, identify the source that’s causing the water to change, and make the necessary repairs to get clean, fresh water running in your home again. Each of the signs above are indications that problems likely exist in your hot water system. Often times, the onset is unnoticed, however, the conditions will worsen over time. The best way to prevent these issues from occurring is by properly servicing your water heater. If you notice any of the above signs and are in need of water heater repair in Bernaditio County and the surrounding areas, you can rely on Complete Plumbing and Rooter to get the job done right. It’s always a challenge to determine whether to replace expensive appliances or continuously spend money on repairs, especially when it comes to water heaters. Of course, you don’t want to spend the extra money to upgrade or replace your hot water system, however, you also don’t want to constantly invest money into something that will end up failing again and drain your bank account. This decision is a tough one, but by keeping the following factors in mind, and with the help from an experienced plumber, you can easily figure out whether your water heater is in need of repair or replacement. As mentioned above, the average water heater usually lasts six to 12 years. If your water heater is near the end of its life, it may be better to replace the unit rather than repair, especially if the repairs are expensive. You wouldn’t spend money putting a new engine into an old car, why invest money into a water heater that is near the end of its life. If it seems like that with each shower you have to turn the dial further and further to get the same temperature of water, this likely means that your water heating system has become less energy efficient, therefore working harder and longer, using more energy to get the same results, which is reflected in increased utility and water bills. While it can be a pain to upgrade or replace a water heater with a new one, it’s even more painful to continuously throw money at a water heater that will keep malfunctioning. If a water heater is past its time, is no longer efficient, or requires frequent repairs, it is time for a water heater replacement. In need of water heater repair, replacement, or installation? Whatever your hot water heater needs, you can trust the team at Complete Plumbing and Rooter for premier water heater services. Whether you need water heater repair, water heater maintenance, water heater installation, or water heater replacement, you can count on our experienced team of plumbing professionals! Our plumbing company knows how complicated water heating systems can be, which is why we will never tell you to purchase a new system when a minor repair is all it needs. 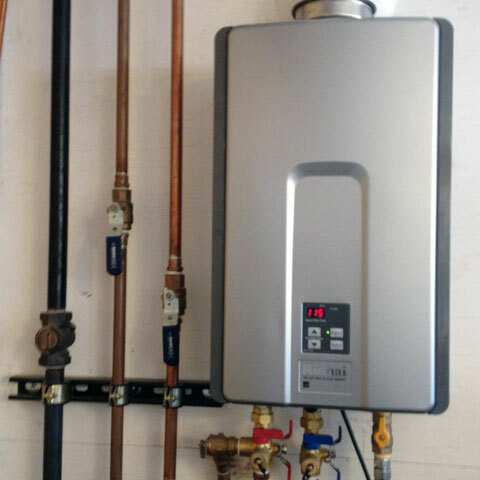 Repair or replacement, we can help homeowners have an efficient water heating system that will save them money in the long run, lowering their monthly utility bills! At Complete Plumbing & Rooter, we love what we do and are passionate about taking care of you. Responding to service calls 24 hours a day, seven days a week, we are your 24-hour plumbers and you never have to worry about what might happen.